The above pictures are the copyright © ownership of in2clicks.com and can only be used by prior agreement. 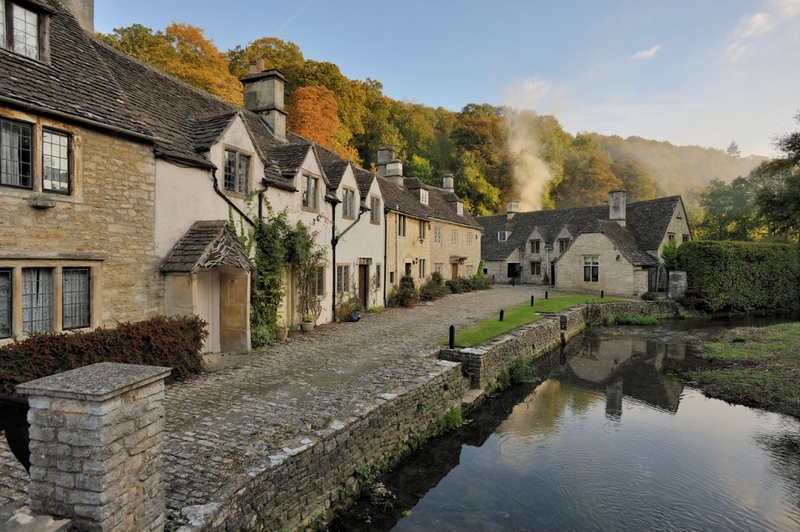 Pictures of the Cotswolds village of Castle Combe thought by many to be the prettiest village in England. They were taken in October 2009 while vacationing in Sherston Wiltshire. The thumbnails below are higher resolution pictures, some taken in Sherston and at The Bearlake Inn at Lake Sourton Okehampton Devon. 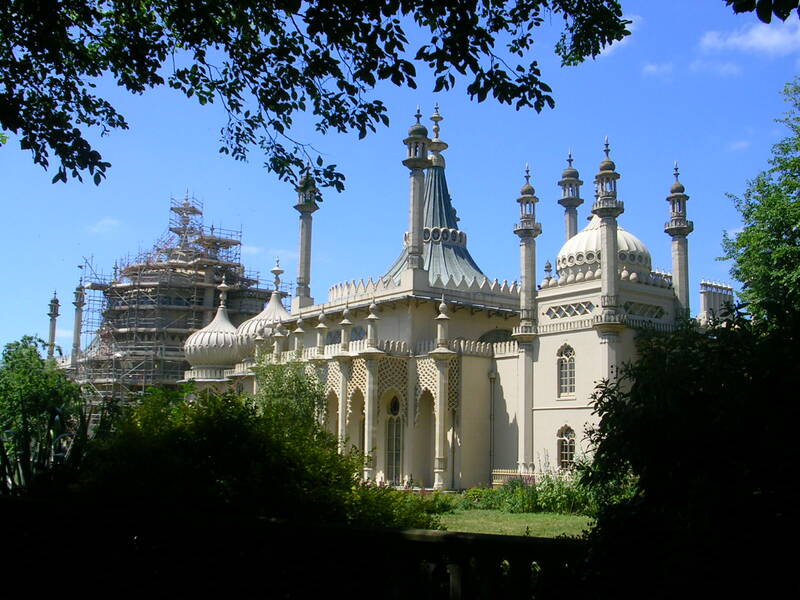 The slideshow includes pictures taken in Brighton on a previous vacation. Below is a beautiful Google street map view of Castle Combe, Chippenham, Wiltshire that can be viewed in full screen mode by clicking on the top right window icon. 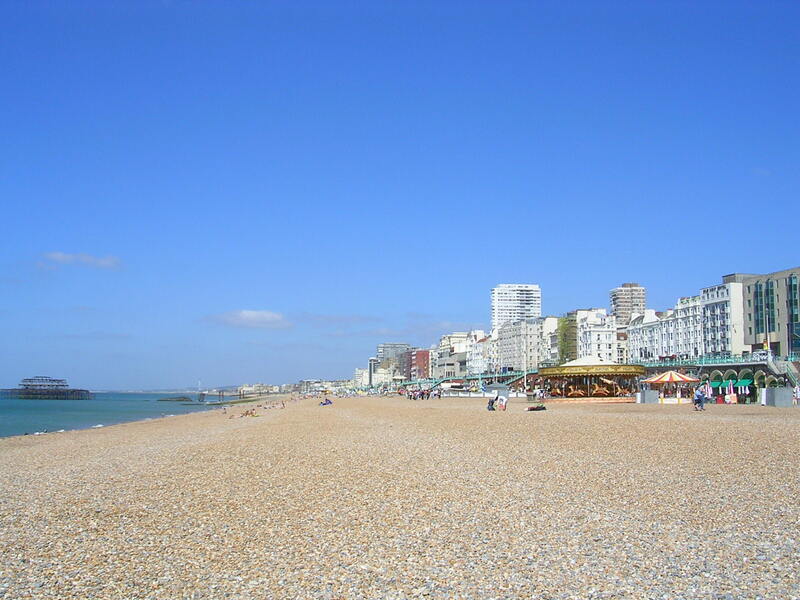 The Brighton lanes slide show picture is featured The Brighton lanes slide show picture is featured in Google Earth and has become very a popular Brighton Lanes Google image. A large pop-up picture is available below and a Brighton Lanes web page is now available which has Brighton lanes Google maps and shops and restaurant information links. Currently Orange Smile is making an unauthorised use of the picture on their web site. Click on the thumbnails for larger browser pop-up puctures. 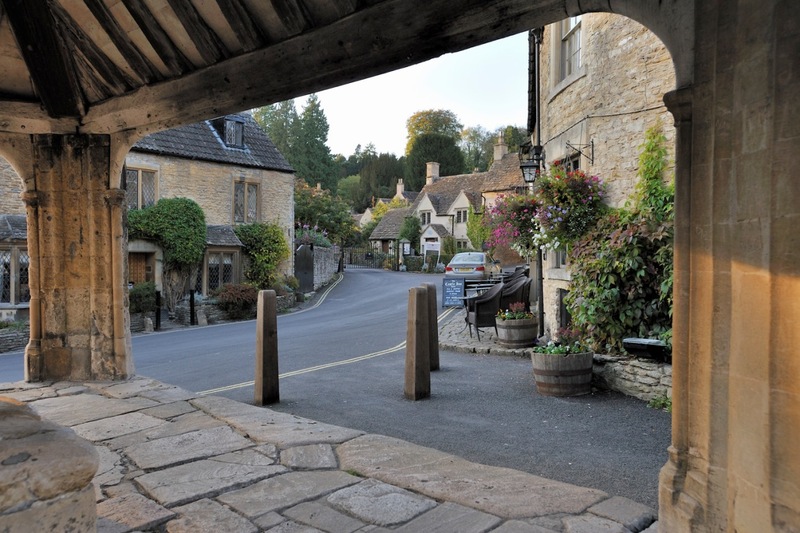 Pictures taken in the tranquil 14 century village of Castle Combe main street, market cross and original wool weavers cottages close to the "By Brook" which provided power to run the wool mills. The village has been used as a backdrop for a number of *movies, more recently summer scenes of the film "Stardust" and was more famously featured in the film musical "Doctor Dolittle". 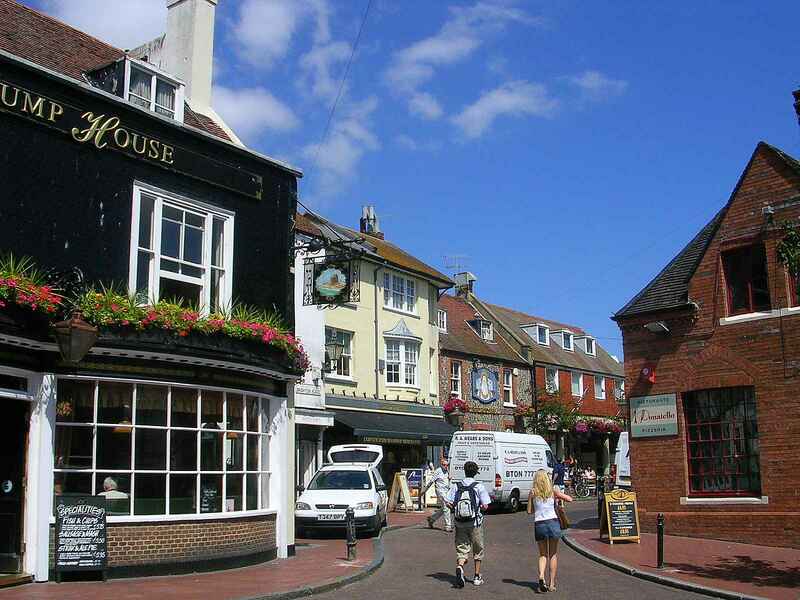 Followers of the TV drama Poirot will also be interested to hear that the village was a location for one episode of the popular series. 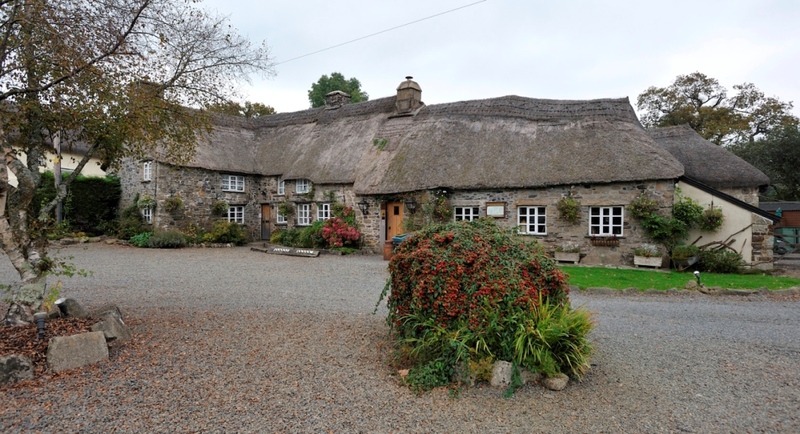 A picture or the picturesque Bearslake Inn at Sourton near Okehampton on the edge of Dartmoor is a very inviting place for a stop over en-rout to the west country. See the link for additional information. 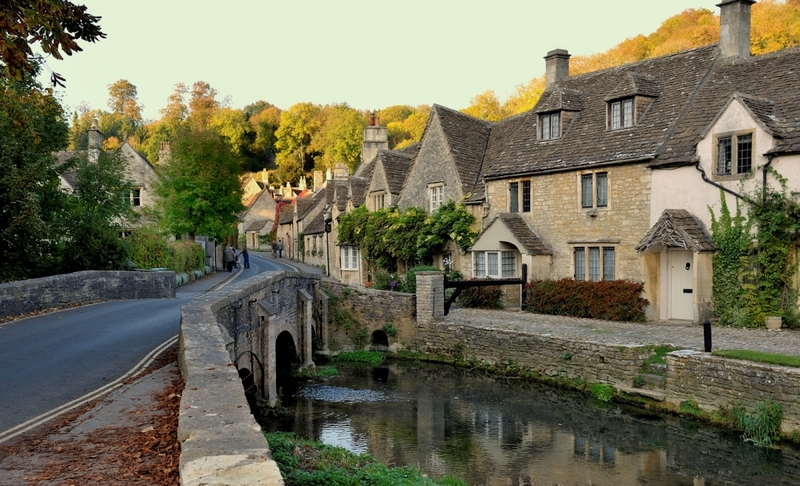 One hour and forty minutes by car from central London Sherston is an inviting weekend retreat and convenient for the exploration of the many historic towns and villages of the central south of England. 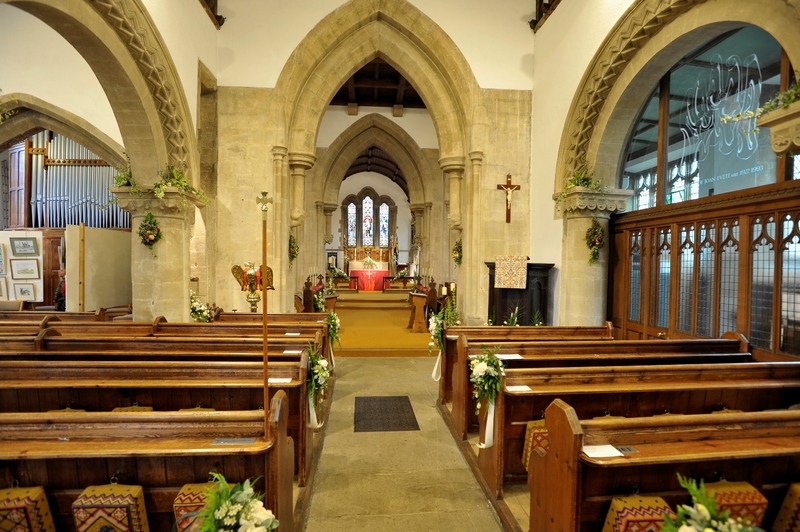 It's only a short distance from Malmsbury and a leisurely drive to Cirencester. If in the Village on a Friday night the "sing along" at the Carpenters Arms is not to be missed, is the quickest way to meet up with many of the interesting locals and to hear about what's going on in the village. Weekends are not complete without a lunch time visit to the Rattlebone inn next to the church where you will find great food, refreshments and more friendly interesting villagers to meet up with. Click on the Church of the Holy Cross link for a high resolution image of the nave. There are some transient issues with the Google street view which are not associated with this site which may be resolved with a refresh/reload of this page, or alternatively by clicking on the larger map link. 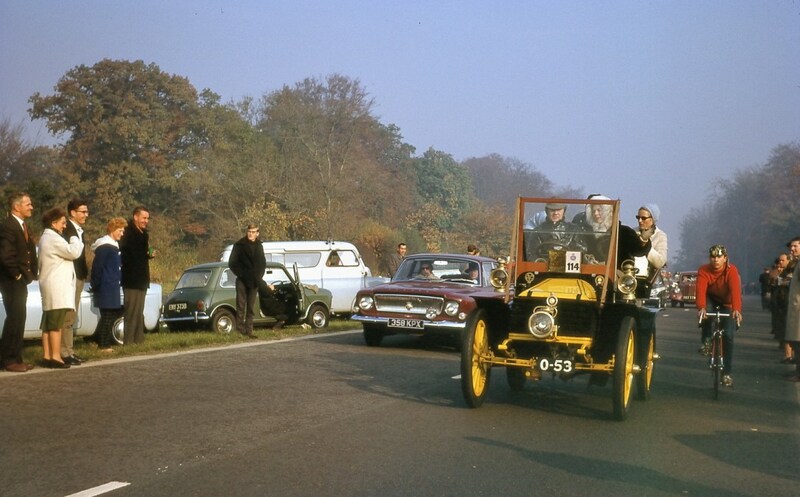 From the picture archives: A picture of the 1964 London to Brighton Veteran Car Run. 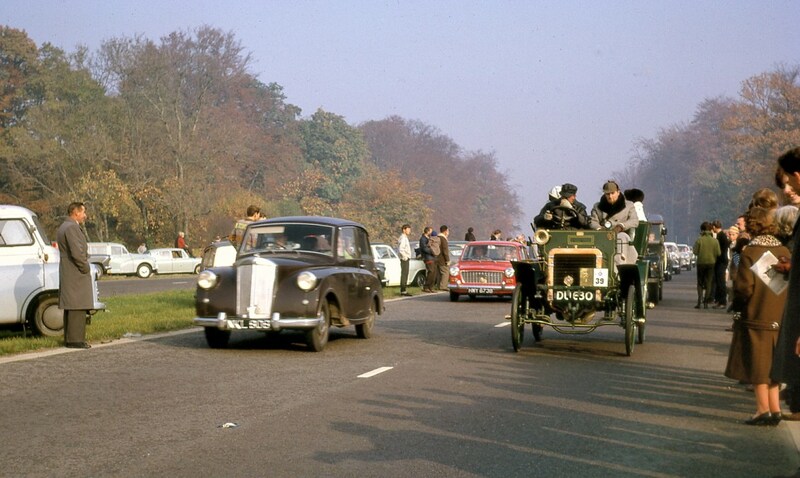 The car in the picture is likely a De Dion Bouton which does not seem to be registered for this years run taking place on Sunday November 7th. The run is often misdescribed as a race. 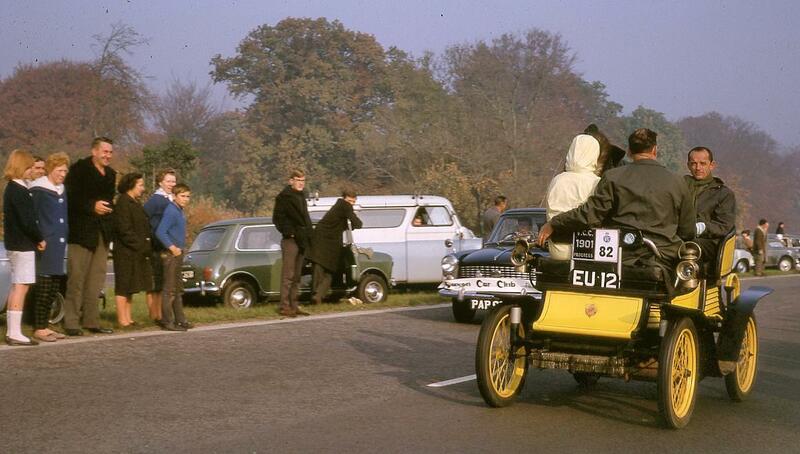 Information about the worlds longest running motoring event can be found in Wikipedia. 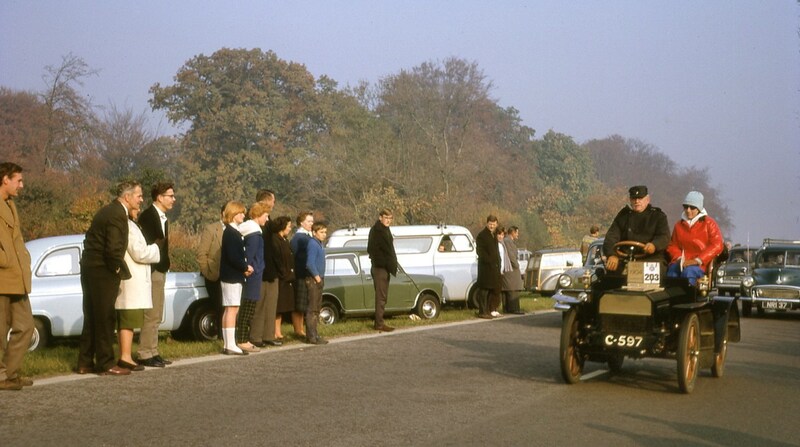 For Information about this years run and to view the cars taking part go to the LBVCR website where a short movie clip can also be viewed. 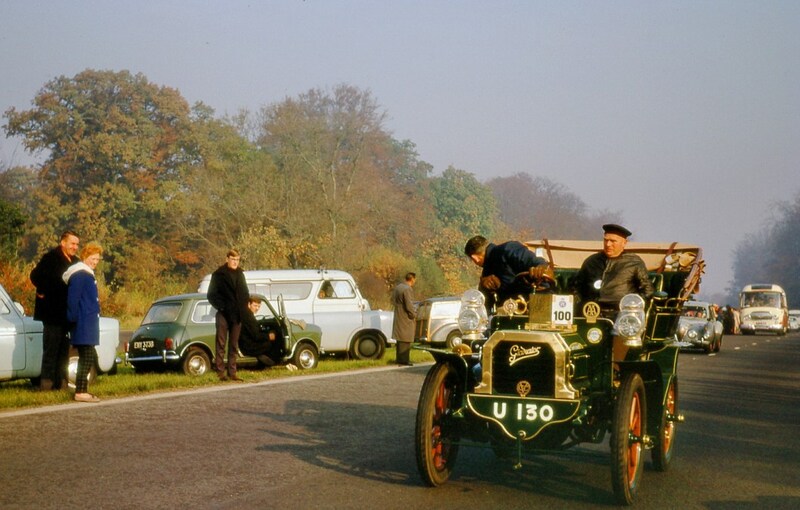 This is a link to the Telegraph pictures of vehicals at the 2010 Brighton finish. All pictures are copyright and require attribution and a link back to this site.